All C (and C++) applications being their lives as a bunch of source files (eg. .c), that are compiled separately (by gcc) into object code (.o files). 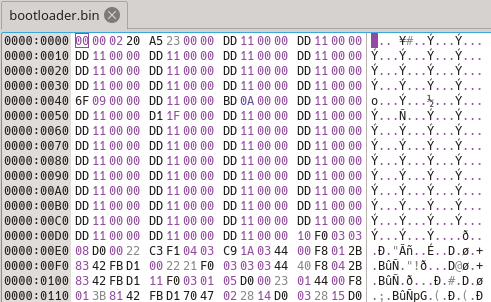 Object code files are then linked into a single binary (eg. .elf). Optimization is usually applied in the compilation step, so for example the compiler can inline a function that is used only once, or is very small. During linking phase the only basic optimization performed by the linker is throwing out unused symbols (ie. functions or data). If a function from one module is used only once in another module it will still include a complete function call. A function call is usually “cheap” in modern processors (the state of the caller must be preserved on the stack), but nevertheless it costs something in terms of extra instructions. Here comes the LTO! With LTO enabled the linker is able to optimize the application across module boundaries. For example, a function used only once in another module can be inlined, which leads to output code reduction and better speed. To enable LTO you have to simply add -flto option to your CFLAGS and LDFLAGS, then recompile everything. As simple as that… almost. When building my Cortex-M bootloader without LTO the output size was 15032 bytes, with LTO enabled it was a mere 8648 bytes. A 50% code size reduction is too good to be true. I tried running the binary on the microcontroller but it did not even bother to crash. Something was evidently wrong, but how do you debug raw machine code? 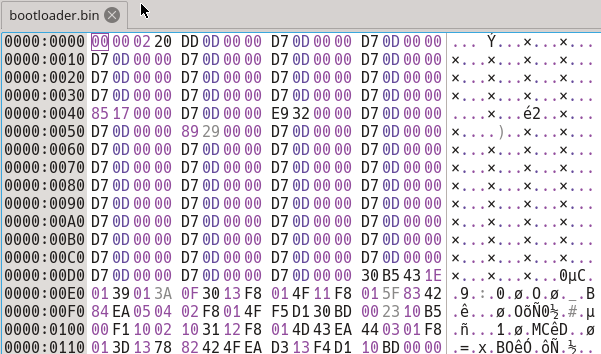 It is not even assembly… Let’s fire up the hex editor! What can be seen here? Well… some binary data, but it definitely does not look random. If you know the Cortex-M architecture you can recognize the first word (4 bytes) as the initial stack pointer and second word as the address of the reset function (reset vector). Usually the beginning of the binary is used for the interrupt vector table. The reoccurring values are just addresses to the same default handler. Something is very different from the correct binary – data from the very beginning looks “random”. This would mean that the linker removed the whole interrupt vector table. With the reset vector and stack pointer missing the code is pure junk. The linker may have been over-aggressive because, from the point of view of the whole application, the vector table looks totally useless. No application functions call any of the vectors (only the hardware does). The vector table is not referenced anywhere in the application code. The fix was to simply change the attribute: __attribute__ ((section(".vectors"))) to __attribute__ ((section(".vectors"), used)). The used attribute tells the whole toolchain that this symbol is really in use and should not be optimized out. After a recompile the beginning of the binary seems to contain the vector table. The binary runs fine on the microcontroller. The output size is 13100 bytes (vs. 15032 originally), so 1932 bytes were saved. This is something worth fighting for in a bootloader. What are the downsides? The output code is “heavily digested” by the toolchain, so it will be much harder to debug. Adding both -g (include debugging symbols) and -flto option to GCC is officially experimental, so the results can be unpredictable. 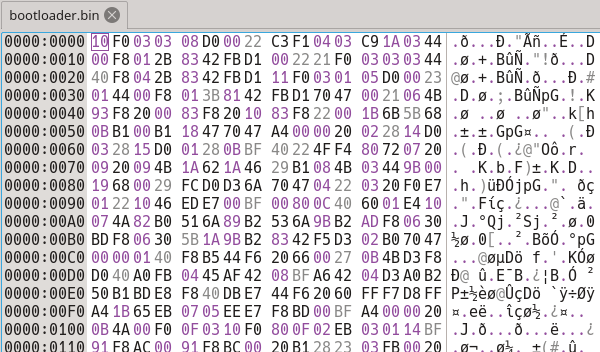 For example Ozone can not read the debugging symbols after LTO.